Andorra cycle route 16 climbs almost 1,000m. 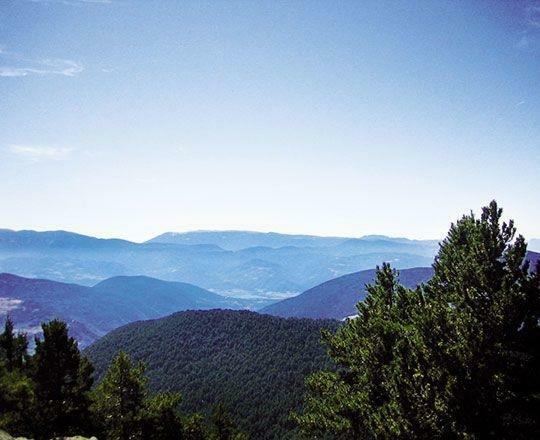 It starts at Sant Julià de Lòria, on the CG-6, in the village of Aixovall (928 metres) and follows the CS-600 to Coll de la Gallina (1,910 metres). It is grade 1a sp (very difficult). This route was the end of the eighth stage of the Vuelta de España in 2012 and is a very demanding climb. Its average gradient is 8.3% and there are sections of 9.5%. The route climbs 982 metres over a distance of 11.9 kilometres.